RMB officially took its place among the world’s reserve currencies. 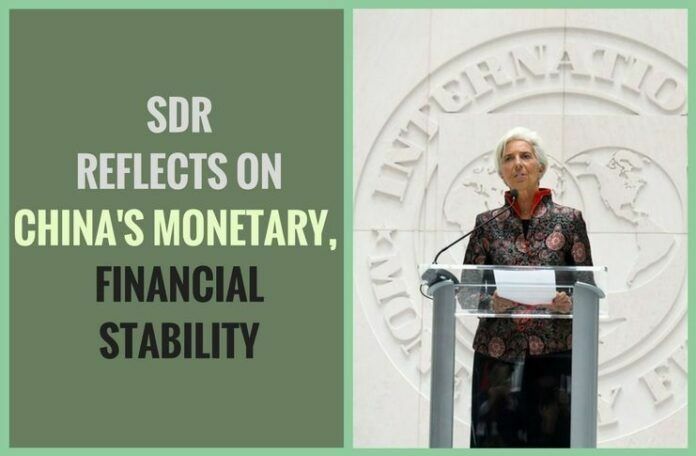 [dropcap color=”#008040″ boxed=”yes” boxed_radius=”8px” class=”” id=””]T[/dropcap]he inclusion of Chinese currency, the Renminbi or RMB, in its Special Drawing Rights (SDR) basket by the International Monetary Fund (IMF) reflects the monetary and financial stability in China, a Mexican expert has said. On Saturday, the RMB officially took its place among the world’s reserve currencies, joining the U.S. dollar, euro, British pound and Japanese yen, to become the world’s fifth reserve currency. The Chinese currency is considered strong enough to be used in international transactions and stocked as a foreign reserve. Ignacio Martinez Cortes, a professor at the Center for International Relations at Mexico’s Autonomous National University (UNAM), told Xinhua recently about how the move stands to transform the global financial system, which has remained largely unchanged for 70 years. ” “The first impact of the RMB’s entry into the International Monetary Fund’s currency basket will be that loans the IMF grants from now on will be related to the Chinese currency,” said Martinez. [dropcap color=”#008040″ boxed=”yes” boxed_radius=”8px” class=”” id=””]T[/dropcap]hat, without a doubt, reflects China’s monetary power around the world. If China didn’t have a strong economy, if China’s currency didn’t have strong backing, the RMB wouldn’t have the 10.92 percent share it has as of Oct. 1,” said Martinez, referring to the IMF’s allocation of so-called “currency weights” to each money. ” China’s “weight” ranks third following the dollar (41.73 percent) and euro (30.93), but ahead of the yen (8.33) and pound (8.09). Little by little, Martinez said, China is going to participate in a significant and direct way in the decision-making process of the IMF. [dropcap color=”#008040″ boxed=”yes” boxed_radius=”8px” class=”” id=””]O[/dropcap]ne of the factors that led to the RMB’s upgrade to the reserve currency status was China’s enhanced national power, said the academic. Additionally, China excels in many key areas, such as technological and scientific development, and education, he said. “There are a series of factors that now lead China to have this global presence, and it is nothing more than the result of its constant growth in recent years,” said Martinez. Previous article#SurgicalStrike: Why are Kashmiri leaders shying away from praising the Indian Army? US-China Trade War – Is there more to it than trade?